RSS western region chief Ravi Joshi and Nagpur city chief Dilip Gupta accompanied Dalai Lama during his visit. 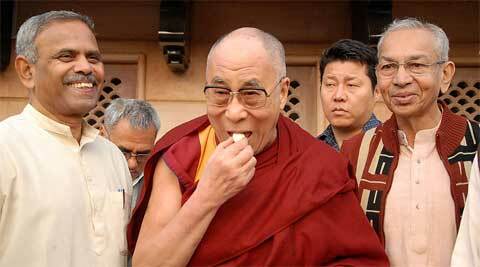 “RSS has always supported the cause of Tibet and hence I always had love for it,” Dalai Lama said. Tibetan spiritual leader Dalai Lama on Friday praised the RSS for its support to the Tibetan cause and said it has done good work towards promoting the values of discipline and dedication. Dalai Lama was talking to mediapersons at the RSS Smruti Mandir premises after paying tributes to RSS founder late K B Hedgewar and his successor Guruji Golwalkar at their memorials there. Sarsanghchalak Mohan Bhagwat was away on tour but the two leaders spoke on phone during which Bhagwat told Dalai Lama that the RSS will continue to support the cause of Tibet.